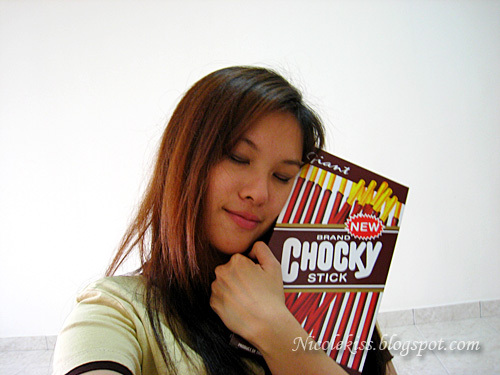 I love Pocky, I love Rocky, but most of all I Love Chocky!! We have the imitation Rocky in Malaysia. Now make way for Chocky!!! It’s so big and long, you just gotta love it!! I mean, it's simply genius. I've always been a big fan of Pocky and Rocky. I crave for them constantly, I used to have them stocked up in my cabinet all the time. I wonder why it took manufacturers so long to produce something like this!! It's so big, it's longer than my face. It's heaven for chocolate lovers like me. OMG, I'm in heaven. Can't believe my eyes when I saw it. I was jumping up and down and laughing screaming like a little girl pointing at the row of giant chocolate sticks. Muahahaha, it's giant size pocky sticks!!! 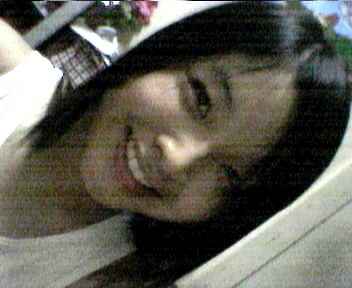 hahaha woah!! wow!! I always love Rocky!! This is great!! where did u get it?? 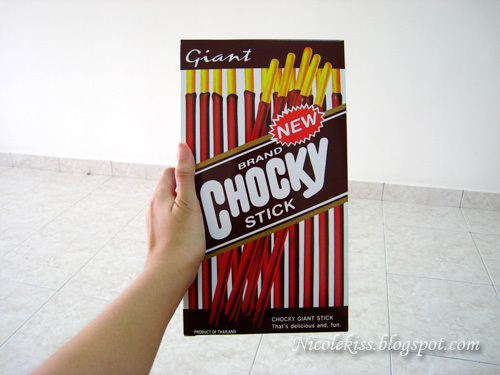 it is too cool to ignore..
Is Chocky an imitation from china? That explains the quality i guess. I hate those pop-up's in your blog. Really irritating. 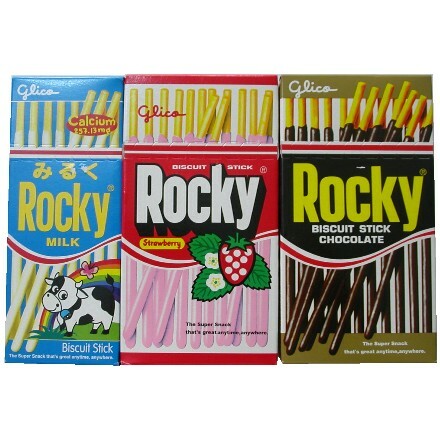 Pocky and Rocky are both made by Glico. Same product, just different name for Malaysia. Chocky, that seems like an imitation. 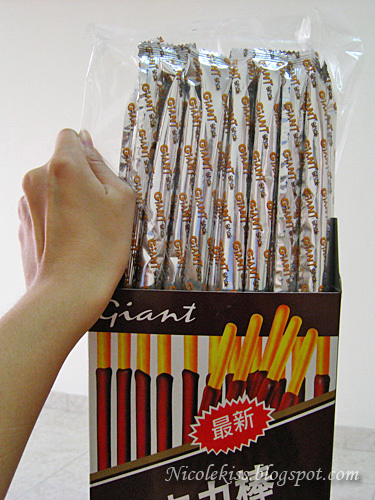 Cuz Glico also makes big big Pocky sticks too...1 foot long Pocky sticks! Malaysia's version is not imitation lah, it's by the same glico company. 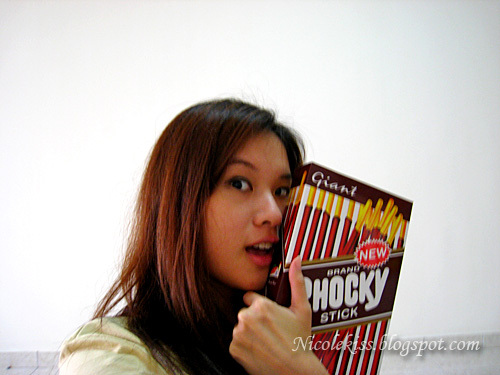 "In Malaysia, Pocky was renamed as Rocky, perhaps to avoid a vulgar word in Malay with similar pronunciation." Wonder what word that is.. hmmmm. 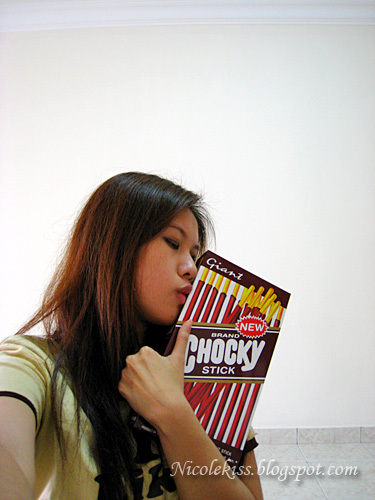 Pocky from Glico? I never heard of it though~ never see in msia oso. But Rocky yes. I love choc Rocky also. nice nice. 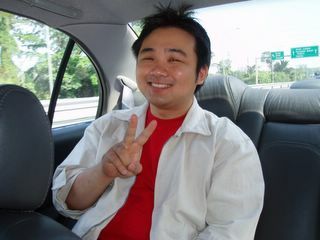 N now gt chocky from Giant huh, wah tat's reli giant. Gonna get it fr the supermarket n try out someday, hehe! I is jealous of the Chocky box. Heh. waliao...so big? ?where can get n how much arr? ?I never saw in those supermarket also?? 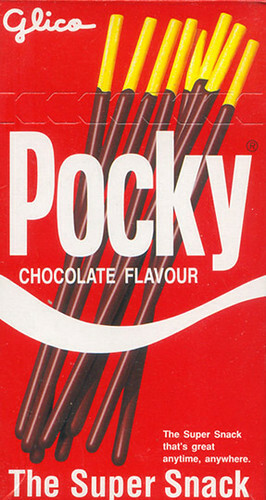 i think you can get pocky at the store that sells japanese snacks in front of the new japanese restaurant at pyramid. (next to zen restaurant). no guarantee ah....!! It can be easily bought in Bangkok Watson with RM4 only!!! Had bought it last year during my trip there....Was wondering why only now they started to sell here.....CHeers!! hey i believe those came out LONG AGO! like years?! where have u been nicole?! i have bought them before. dont really like the taste though. the chocolate's not that good a quality compared to pocky. walau eh nicole, you look so hot in those photos lah. so seducive. lol. Wah!!!! I love rocky too~~~ I always stock it up in my cabinet too~~ I never know that there's a huge version of it. Izzit available in Giant / Tesco / Econsave / The Store ?? I know I am gonna love the huge stick!!! yeaa..is nice..eat once b4..my uncle bought it back from bangkok,if im not mistaken..haha..
they look so delicious o me, I can wallop all of them !lol! Meow will surely got to grab one... MEoW!! get it from watson's. Has been there for years..well, probably not all stores. quality not that good tho...this layer of bad quality choc wif the thick biscuit. I'm one big fan of ROCKY too! one of my childhood snacks, and also my daily snack every now and then! cheers! so deja vu. i had chocky myself last week. I thought chocky's been around for ages! It was practically my childhood snack lol. where did you get that, OMG!!!!!!!!!!!! Online Dating – Is it The Way to The Future? Why Do Men and Women Need Each Other?